wo Sync for iCloud synchronizes Outlook calendars, contacts and tasks with iCloud folders, its new version has just been released! The recent 1.3.3 update overhauls the issue of constant replication of meeting requests that were received from external contacts in synchronized calendars. Moreover, it solves the problem of using of temporary license key which may have caused the software to display wrong number of days until the trial expiration date. 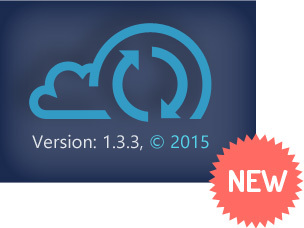 All CodeTwo Sync for iCloud users are recommended to download and install the newest update. It is free of charge for all license owners. In order to download the latest release, please follow the link provided. Thanks, after using the program for a couple weeks I realize that what I thought was a glitch (1), actually makes the app more useful. If you use the iCloud calendar as your main calendar in Outlook then not having the alerts sync to the calendar in your personal folder make sense because you will not get duplicate alerts. However, you still get the benefit of having the synced items show on your to-do bar. This makes glitch (2) a moot point. 1) If I add an appointment via icloud (either on iphone or web app or in outlook icloud calendar) the reminder does not sync to my local calendar item, but it does sync properly the other way.